Placing an ad isn’t enough to get your brand out there. 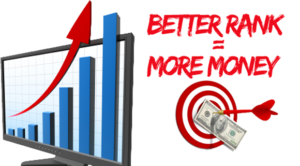 It’s expensive and it’s not as effective as organic SEO tactics. But, we know better than anyone that mastering SEO is no easy task…and that’s where we can help. 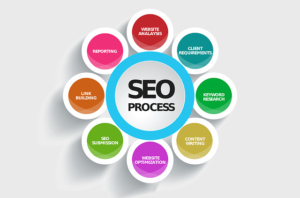 SEO, or Search Engine Optimization, is the process of incorporating various keywords, headings, and other ranking criteria strategically into your content in a way that makes it more consumable for users while also allowing search engines to more accurately index your content. 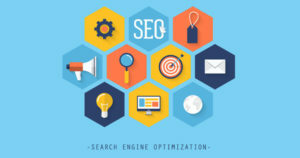 SEO is tough because search engines (like Google, Yahoo, and Bing) have set strict criteria for what aspects a piece of content needs to meet to be considered valuable. A plain-text article that lacks keywords and headings, for instance, won’t rank as well as one that follows the best practices set by these search engines. However, many other things also factor in when it comes to how well a page or post ranks in searches. These aspects include how many visitors your site gets, when the content was published, how many people have shared your content, your social presence, and more. At the end of the day, what gets frustrating is that you do what you do best. You run your business the best you can. Ultimately, though, you aren’t an SEO expert. You might have the best website in your industry, but if it lacks the right SEO techniques, it’s not going to get anywhere fast. We are SEO experts, and we lend our knowledge out everyday to businesses just like yours who have everything on their end figured out and perfected but just need a little boost in getting their content ranked. Organic SEO means that your content will start ranking for relative keywords. Good techniques can even allow your pages and posts to climb up to the first page of Google! Imagine what that exposure could do for your business! However, SEO takes time and it’s an ongoing task that comes along with every new post and page you publish. And, that’s also the other half of it. If you want to content to rank well and engage users, you need to be publishing valuable content on a regular basis. SEO goes hand-in-hand with content creation and a good content marketing strategy. If that sounds like it’s getting far too complicated for you to handle on your own, don’t worry. We do this every day! As a digital consulting company, these things are our specialty. We are a results-driven team, and we know that you are too. That’s why we’d like you to sit down and enjoy a free consultation with us over the phone, through email, or on a web chat. Once we get talking about your company and your goals, ideas will start flowing and we can get the ball rolling.